Here is a summary of the most common feedback and our answers. One of our main goals with the release was a website that would be easy to use from any device or screen size, an intuitive and clear navigation. If we achieved it, we’re very satisfied! Now let’s go with the most frequent complaints – this is where there is ground for improvement at our end and probably concern at yours, so we will look into more of them and explain you our plans and decisions. Many users said they miss the previous site, that was more simple. They believe the new one looks busier, clumsy, jumbled. We made a drastic change with the redesign: the greater the change, the riskier it is to frustrate and disappoint people who were used to the previous version. We are sorry if you are among these people and hope that most of you will enjoy again our website very soon! We truly believe several features are beneficial to the users such as the two-column navigation, loading speed and an improved mobile and tablet experience. In terms of simplicity, the New FXStreet has in fact many less pages and subsections than before.”Less is more” is a motto that we followed during the whole process, when selecting the content and structure of the redesign. 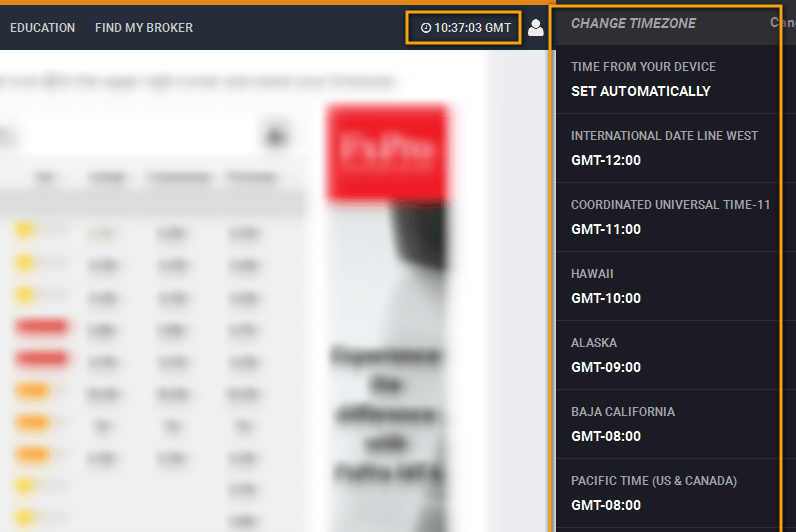 We indeed had some bugs there: some users selected their timezone to see our news and economic calendar events in their local time, but the website was not always keeping these settings. Disturbing indeed. Our IT team worked on this issue that is now almost totally fixed – the automatic set of time from your device is still failing but should be working in a few days. If you want to be sure to see all our events in your local time, select yourself your timezone and it will work totally fine. On the old website, users could customize our table of rates. Now they can customize charts, but not rates. 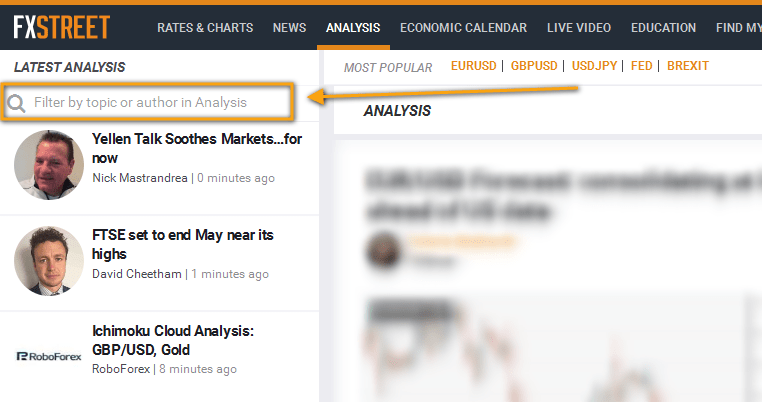 It will allow you to set up all the pairs available in our previous site (including the reciprocals like GBP/EUR) as well as other asset classes. Some users miss the charts from ProRealTime. They mainly miss ProRealTime’s automatic support resistance, their platform’s look and feel and period countdown on chart. When working on our new website, we absolutely wanted to reduce the diversity of rates and charts options, together with the variety of data providers. Such a wide offer was making our site busy and confusing for many traders. We decided to keep one single chart provider, Teletrader, which allows us to provide you with the most robust platform service. We understand that some of you were used to options that only ProRealTime offers, but we had to choose one. One important reason behind our choice is that Teletrader’s feed is from interbank sources, whereas the price from ProRealTime is from a single broker. Interbank quotes are essential for realistic valuations, for instance comparison between interbank and a particular broker-dealer’s rates; calculating risk exposure; analyzing performance; and justifying trades since price-driven indicators are much more reliable when using interbank rates. Some of you are missing the general search field that was a the top of all pages in the previous version of FXStreet. On the new website, you can filter by tags or contributors in every section. There is no general search box though, and we are probably not going to add one as that would involve a series of inconveniences and technical problems. Our hope is that, with time, all users easily find their way by navigation through menus and sections and get used to the filtering search option in each section. We’re sorry to read that. Can you elaborate and let us know what you miss exactly? What did you use in the previous website that you don’t find here? The amount of news and analysis reports has not decreased. Maybe we can help you find your way in the new website. Thanks! its really hard for me to open this web using slow speed internet. is it more heavy than previous? Our new website is indeed heavier than the previous one if you use it from mobile or tablet. But from a desktop computer, it should go faster, can you try it? Also, we would recommend you not to have too many pages open on the same browser since our website requires many resources. The new site miss Alarm for the Economic Calendar. Yes, this is a feature we are going to add very soon as we know that many of you use it. Thanks for your message!